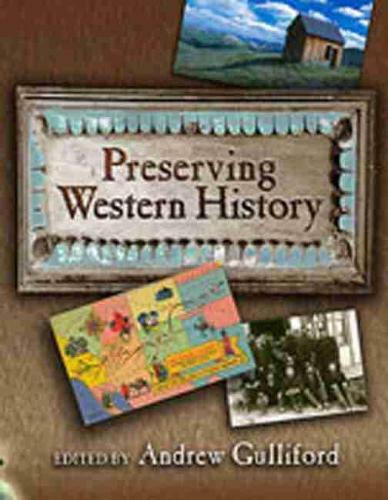 Preserving Western History is the first college reader to address public history in the American West. Andrew Gulliford's collection of essays explains the research and work that public historians do and the complicated issues of historic site preservation and interpretation. The contributors' writings document the application of public history to specific Western themes, places, and personalities. Subjects range from the Little Big Horn Battlefield to Route 66 and from historic brothel buildings at the Mustang Ranch in Nevada to Nikkei removal from Bainbridge Island, Washington. Other chapters interpret the Ludlow Massacre Site, define Hispanic identity and lifeways in New Mexico, discuss wild land firefighter memorials and explain the Wilderness Act as a case study in western public history. Other studies focus on Sand Creek, Colorado and Western Mining Landscapes. Each section begins with an introductory essay that surveys the literature and relevant publications, and each chapter includes endnotes and study questions. The appendix lists academic centers in the West. "This book is a must for any enthusiast of the American West." "Perusing "Preserving Western History," with its conscientious sense of academic rigor and western distinctiveness, was a pleasure." "This book is a necessary addition to the bookshelf of anyone interested in the history of the American West, and the efforts to preserve what is left of it."